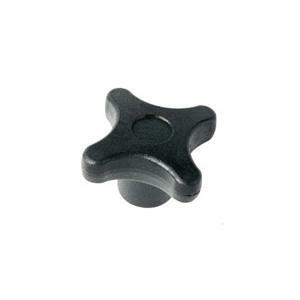 Female Cross Knobs are produced in durable reinforced polyamide with inserts in stainless steel and brass. 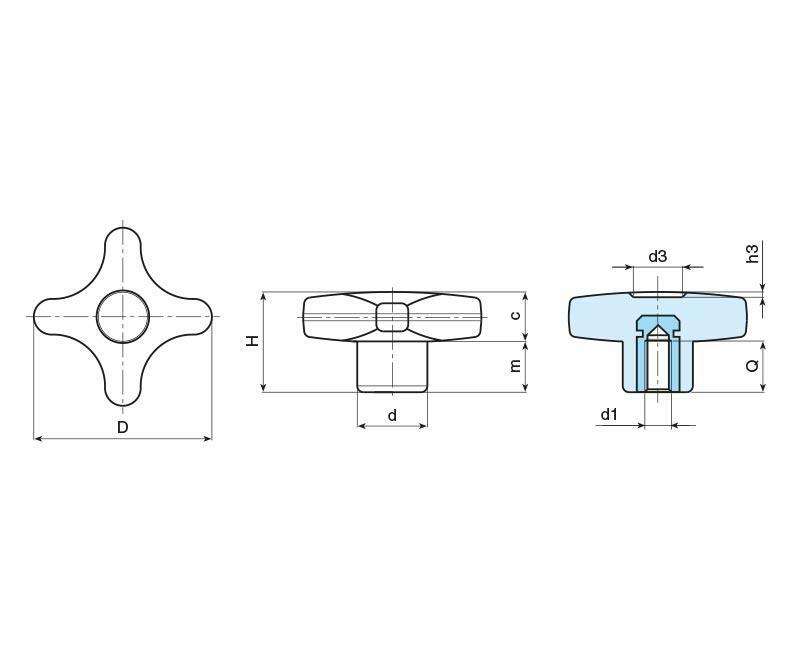 The solid cavity free knobs are supplied in diameters 32, 40, 50 and 60mm with thread combinations M4-M14. 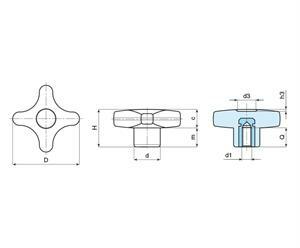 The four lobed design allows the user to gain maximum purchase during operation.